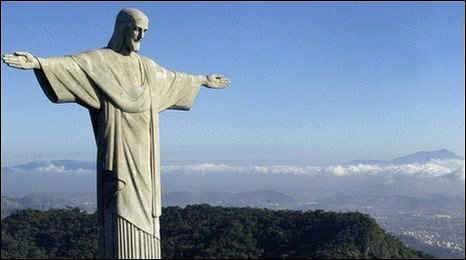 Rio de Janeiro's towering Christ the Redeemer statue has been closed to the public after landslides that hit Brazil, killing some 250 people. More bodies have been uncovered as rescue workers search through the wreckage of shanty towns buried after torrential rain caused the mudslides. The death toll may rise as 200 people are still missing, officials say. They have also warned that further landslides are possible, given the saturated soil. Analysts say ramshackle shanty towns built on steep hills are most at risk. Most of the landslide victims were residents of shanty towns, where about a fifth of Rio de Janeiro's population live. 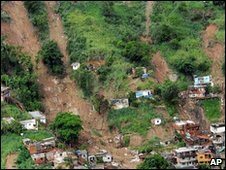 On Tuesday, search crews found more bodies buried in homes by a massive landslide that hit a shanty town outside Rio de Janeiro city. Towering over Rio de Janeiro, the iconic Christ the Redeemer statue was named one of the new wonders of the world in 2007, and is visited by two million tourists a year. It was cut off when Tijuca National Park's Corcovado mountain on which it sits was hit by severe mudslides, park officials said. Park director Bernard Issa said he hoped it would reopen "within one or two months". Work is under way to clear the debris and mend roads, and Rio de Janeiro state's governor said as many as 150 bodies could still be underneath the mud in the Morro do Bumba shanty town. Set in the municipality of Niteroi, across the bay from the city of Rio, Morro do Bumba was built on top of a disused landfill, making it prone to landslides. Rio de Janeiro's Mayor, Eduardo Paes, said families were being evacuated from high-risk areas. He said 4,000 families had been made homeless and 10,000 houses remained at risk. Mr Paes estimated the total cost of repair work would be at least $113m (£73m).